We are an expert manufacturer based in H.K. 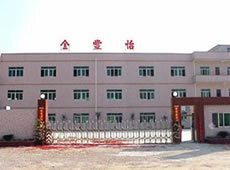 since 1992 with a factory located in Guangdong, China. The factory area is about 5,000 sqm with a Mould Department, Injection Department, Bonding Department, Silk-screen Printing Department and Assembly Department in house. We specialize in producing OEM Products which included Calculators, LCD In/Out Thermo Clocks, Radio Control Clocks, UV Detectors, LED Booklight, Electronics Gifts and USB Products. The production capacity is about 500,000/month depend on the items. Our goal is providing the “BEST PRICES WITH THE BEST QUALITY AND SERVICES”. Your inquiries are always be welcomed! Copyright © 2005 Favour Glory Ind. Limited. All rights reserved.